Time to check the status of your savings account! 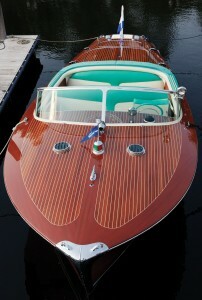 One of the wooden boating world’s most prestigious water-craft, a Riva belonging to the late Prince Ranier of Monaco, will be put on the auction block this coming May. 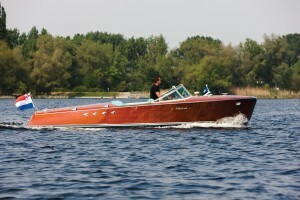 Enjoy the story and photos below. 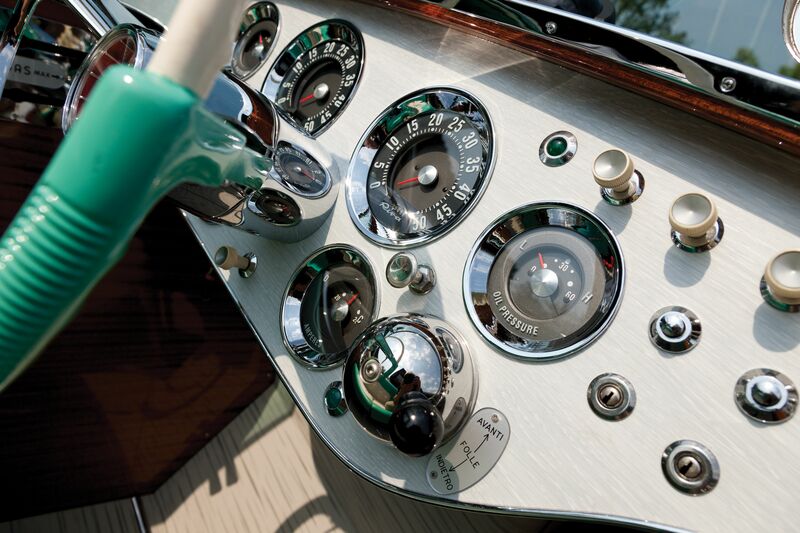 LONDON (13 February 2014) – In what has quickly become one of Europe’s leading collector car auctions, RM’s biennial Monaco sale will feature one of the most significant motor boats to be offered to the market in recent years. The immensely desirable 1958 Riva Tritone, known as VIA, was originally ordered new by His Majesty Prince Rainier of Monaco and his famous wife, Princess Grace Kelly, for their personal use, and the vessel is one of only 26 boats built by Riva that year. Augustin Sabatié-Garat, Car Specialist, RM Auctions, says: “Aside from its reputation as a seller of some of the world’s finest collector cars, RM has also built a reputation for offering some very fine hand-selected boats to the market. 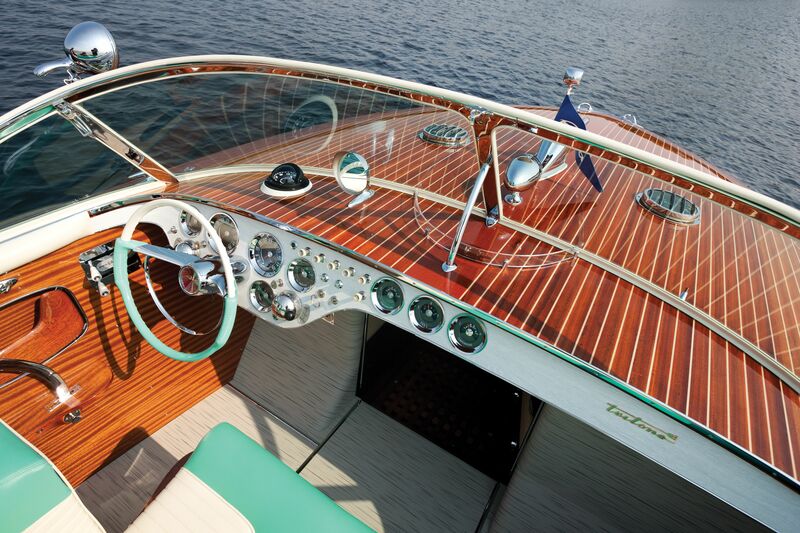 Several very important Rivas have passed through our hands, along with the spectacular Ferrari-powered hydroplane, the ARNO XI, which we sold at the last Monaco sale in 2012. 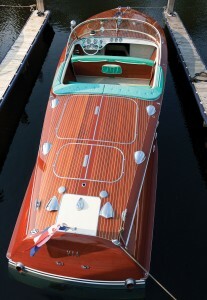 This wonderful Riva, VIA, is a unique piece of Monaco’s cultural history, and it is the ultimate privilege to be able to bring this beautiful boat back to its original home. 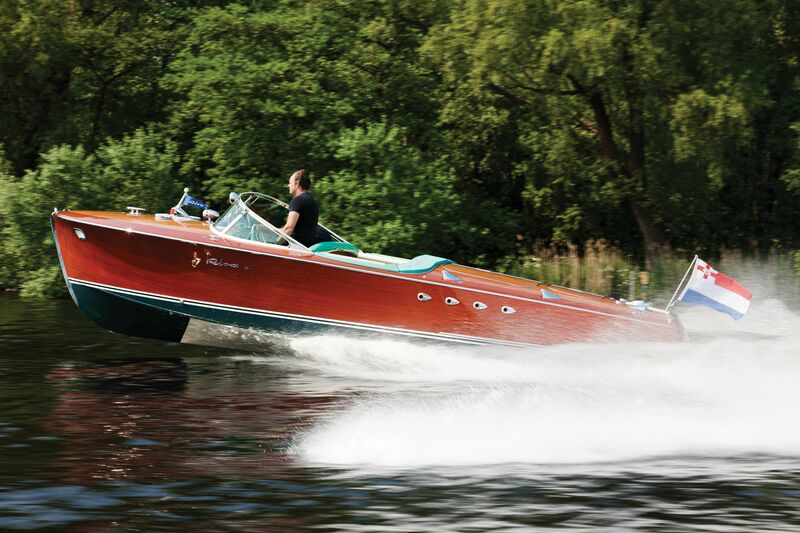 It would be particularly satisfying if VIA could return to Monaco on a permanent basis, but wherever it goes, the boat is surely the ultimate prize for any Riva enthusiast”. 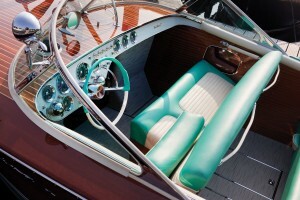 VIA, which is also known by its hull number, number 62, is powered by its original pair of Chris-Craft MCL, inline six-cylinder engines, with each engine capable of producing 175 horsepower; therefore providing exceptional performance to this magnificent machine. 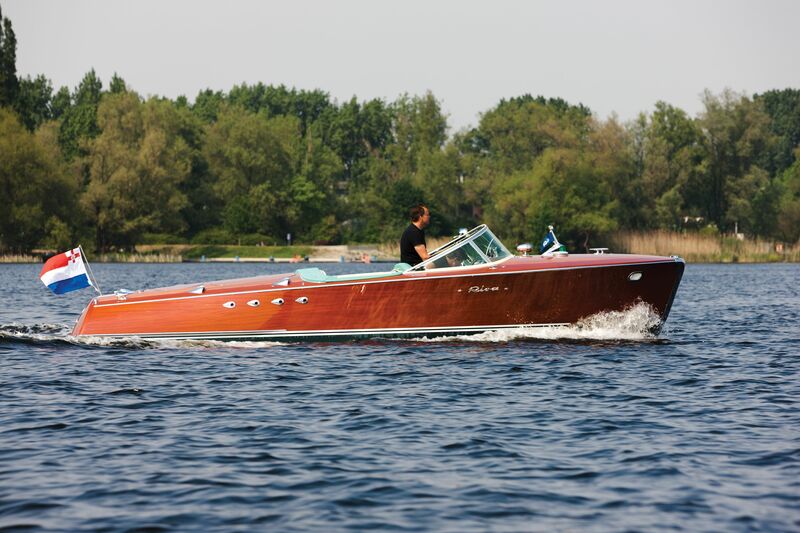 This vessel, acquired by the current owner in 2003, has had only three owners from new, and it boasts a recent ground-up restoration by the specialists at Woodcraft, in Amsterdam. With such an outstanding restoration already conducted, the boat is a perfect and unique opportunity for any collector looking to obtain a historically significant Riva in perfect, ready-to-go condition (Estimate: €350,000–€500,000, without reserve).